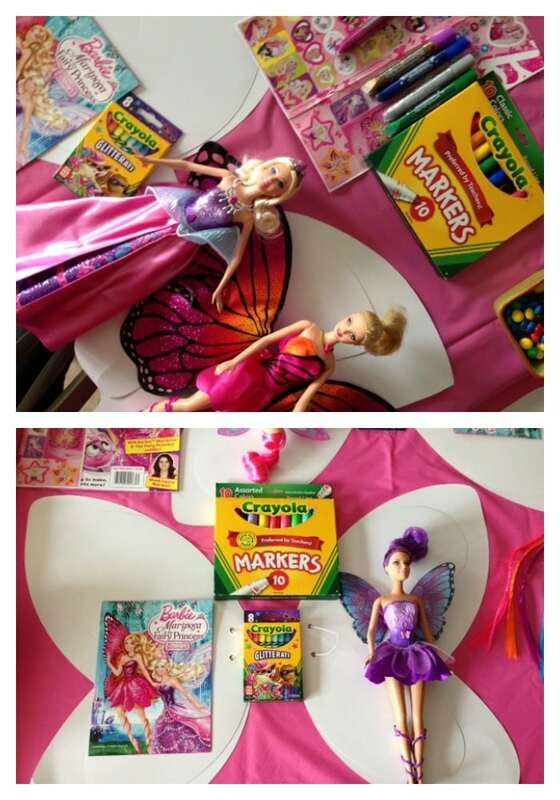 We had so much fun having our friends over to watch Barbie’s Mariposa and the Fairy Princess DVD last week. The title releases TOMORROW – so we had a little sneak peek!! 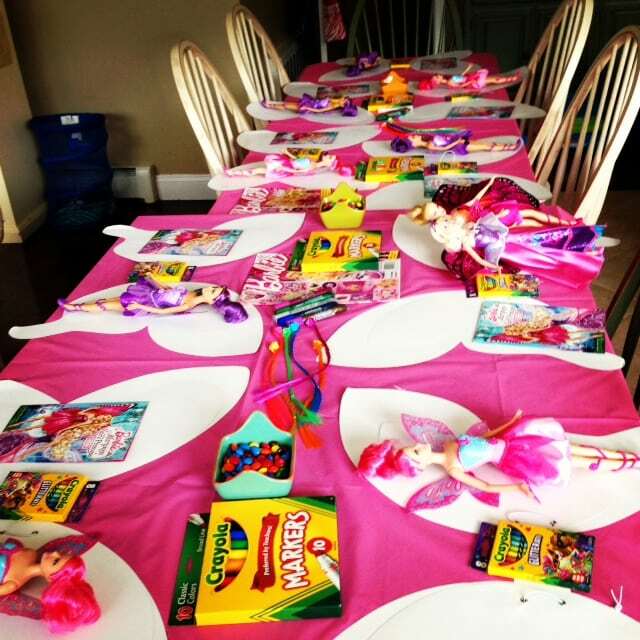 In order to celebrate, I had a BARBIE FAIRY party. 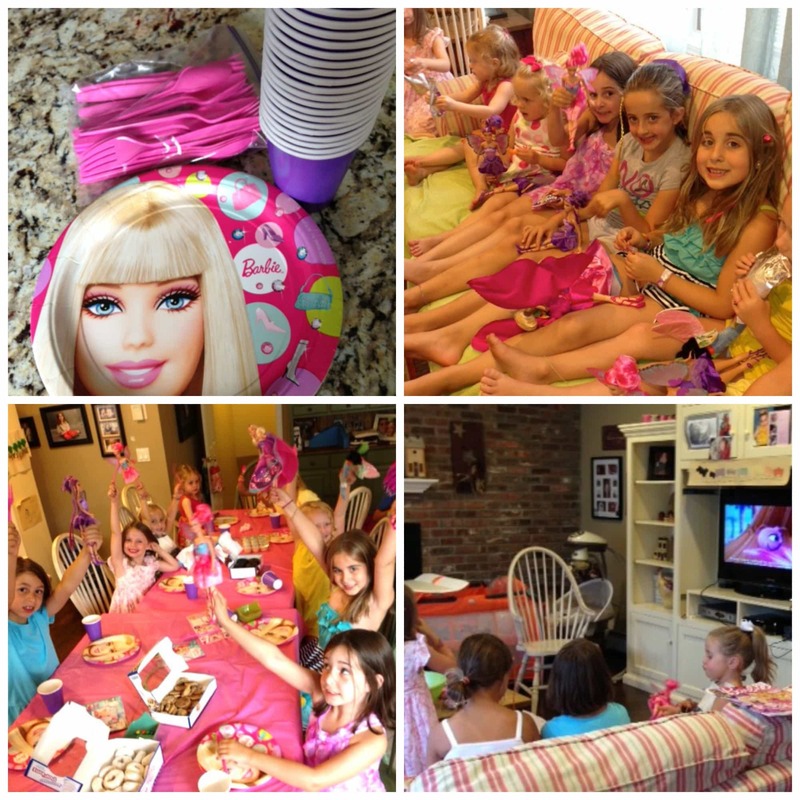 Natalie got to invite 10 of her closest friends and we spent the afternoon doing arts and crafts, playing outside with our new Barbie dolls and – of course -watching the new movie. Mariposa and her furry friend Zee return in Barbie Mariposa & the Fairy Princess. In this magical adventure, Mariposa becomes the royal Ambassador of Flutterfield and is sent to bring peace between her fairy land and their rivals, the Crystal Fairies of Shimmervale. While Mariposa doesn’t make a great first impression on their King, she becomes fast friends with his shy daughter, Princess Catania. However, a misunderstanding causes Mariposa to be banished from the fairy land. As Mariposa and Zee return to Flutterfield, they encounter a dark fairy on her way to destroy Shimmervale. Mariposa rushes back and helps Princess Catania save her fairy land and together, the two girls prove that the best way to make a friend, is to be a friend. In the center of the table, I had markers to share, glitter glue, some Barbie stickers, colorful hair extensions (from the dollar store) and three Barbie Magazine to leaf through and share. For a snack, I had small containers of M&Ms. Then the party began! 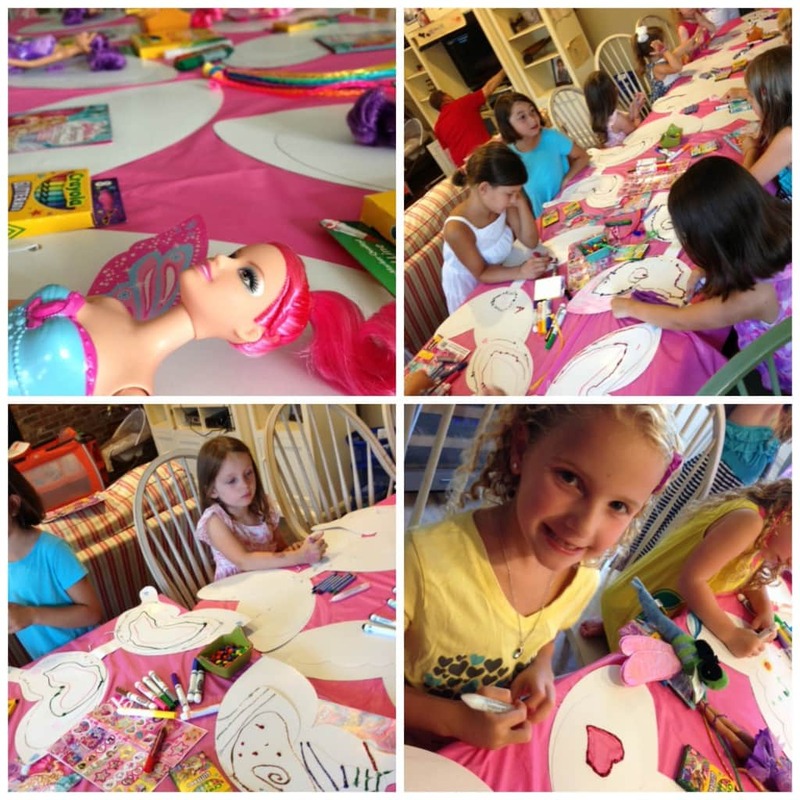 The girls did the arts and crafts, watched the movie and chowed down on some sweet treats. 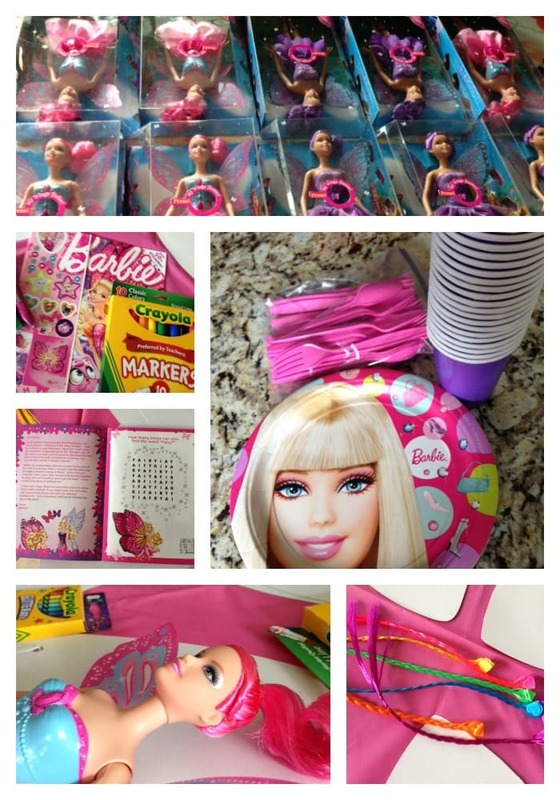 I used Barbie plates and pink utensils to round out all the fun. Everyone had a great time!! 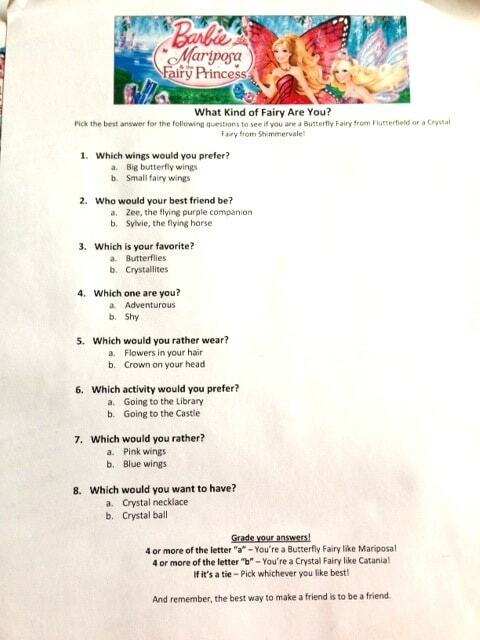 Be sure to check out Barbie Mariposa and the Fairy Princess. The DVD releases TOMORROW – August 27th everywhere. You can pre-order Barbie Mariposa & the Fairy Princess on Amazon right now.